The first efforts at ecumenical organization emerged in 1908 with the creation of the Federal Council of Churches(FCC). The FCC was created as a response to "industrial problems" that arose during the rapid industrialization of the U.S. The primary concern was the protection of workers in a host of areas including wages, working conditions, child labor, and a six day work week (reduced from 7). During the next 40 plus years, FCC remained engaged in the domestic social problems of the day as well as international problems that threatened to draw the U.S. into war. Its progressive social program along with support of conscientious objectors to World War II garnered stiff criticism from Christian fundamentalist circles. By 1950, numerous programs and efforts of social uplift had formed in addition to the FCC. Seeking greater unity, a dozen ecumenical bodies (including the FCC) gathered in Cleveland, OH in 1950 to discuss how to more effectively organize their common work. Out of this meeting, via the merger of the Federal Council of Churches with several other ecumenical bodies, emerged the NCC. The Council's 38 member communions include Mainline Protestant, Orthodox, African American, Evangelical, Josephite, and historic peace churches. Individual adherents of more than 50 Christian faith groups actively participate in NCC study groups, commissions and ministries. Some of these participants belong to Christian faith groups, including the Roman Catholics, fundamentalists, Southern Baptists, and Missouri Synod Lutherans, that are not officially a part of the Council's membership. These creeds have formed the basis, growing out of a common Christian faith, of the work of the NCC in public policy matters. For a number of years the NCC maintained a separate policy advocacy office in Washington, DC. Located in the United Methodist Building on Capitol Hill, the NCC Washington Office served as an ecumenical hub through which it could interact with the numerous denominational policy offices also located in the Methodist Building. Its work centered on areas mentioned in the creeds but also primarily focused around two programs, Eco-Justice and the Ecumenical Poverty Initiative. Both of these programs have been spun off into separate independent organizations since NCC restructuring in 2013. NCC partners with dozens of other faith-based groups in DC and elsewhere, such as Bread for the World, Habitat for Humanity, and Children's Defense Fund, to press for broad policy initiatives that address poverty issues. The Council helped launch the Let Justice Roll grassroots anti-poverty campaign that has been successful in raising the minimum wage in more than 20 states since 2005.
and has requested its constituent denominations to do likewise." The NCC continued to be closely intertwined with the civil rights movement throughout the 1950s and 1960s. NCC created a Race Relations Sunday to educate and call to action mainline Christians nationwide. In 1961, Andrew Young left his position with the National Council of Churches to join the Southern Christian Leadership Conference (SCLC), eventually becoming that organization's executive director. When the Civil Rights Act was introduced in 1964, NCC lobbied heavily for its swift adoption. Since its inception, the NCC had been skeptical of the usefulness of war. During World War II, the Federal Council of Churches formed a Committee on Conscientious Objectors to advocate for the right of people of faith to refuse military service. So it is no surprise as the Vietnam War intensified, NCC found itself in opposition to growing U.S. military action. In 1965, the General Board stated that "unilateral action by the United States in Southeast Asia will not lead to peace." The NCC's position against the Vietnam War became increasingly strident in the 1960s and 1970s, and in some cases, alienated the laity of some member communions. During the tumultuous 60s, the NCC found itself caught in the middle of the political tug of war as conservative media falsely reported NCC had channeled money to Communist groups in Vietnam and left-wing groups in Central America, provoking an outcry. Although often accused of being a left-wing organization, the NCC never attracted support from the New Left. In fact, accusations of socialist sympathies date back to the turn of the 20th century and the its predecessor, the Federal Council of Churches. A more careful analysis by columnist Colman McCarthy adroitly refuted these allegations, criticizing how media was used by "upstart consertative faction bent on smearing its opponents." However, the result of being caught in the national polarization between left and right in a variety of controversies has been a long-lasting challenge to its influence. However, even the NCC's defenders admitted it had been "opaque" and "tone-deaf to their constituents." More recently, in July 2005, the Antiochian Orthodox Church suspended its participation in the NCC because, according to an assistant to the denomination's senior cleric, "the NCC...seems to have taken a turn toward political positioning." Despite this, a number of Orthodox communions continue to be active members of NCC. NCC has been a consistent supporter of a negotiated solution to the Israeli-Palestinian conflict. In partnership with the World Council of Churches, it has traditionally sought to balance its approach, seeking safety and protection for both the Jewish and Palestinian communities. It has focused on meeting needs of the victims of this conflict in all communities and supporting continued negotiations. Since the late 1960s the NCC has taken positions sympathetic towards Palestinian land rights and supportive of a secure Israel. The Council has supported many poverty alleviation efforts, including increases to the minimum wage,  and ecumenical efforts such as the Circle of Protection and the Faithful Budget Campaign. In 2013, during restructuring, NCC spun off its department dealing with poverty issues into a new organization, the Ecumenical Poverty Initiative. NCC continues its work on poverty through its support of EPI as well as partnerships with other likeminded organizations. During the oil crisis of the late 1970s, NCC issued a statement in which it called for "Ecological Justice". The statement called for more work on renewable energy, reductions in energy sources that pollute, and support for energy sources that did not have adverse effects on communities (health, economic, etc.). This statement helped form the basis for the creation of the NCC's Eco-Justice program. Housed in the NCC Washington Office, the program focused on federal environmental policy. In 2013, the Eco-Justice program was spun off into its own organization, Creation Justice Ministries. CJM continues to work with NCC and its 38 member communions to coordinate efforts to protect the environment. Over the past three years, NCC has taken a more active role in the struggle against mass incarceration. As early as 1979, NCC recognized the problem of a justice system based on retribution and the over-representation of communities of color in the prison population. More recently, NCC has worked for sentencing reform to reduce mandatory minimum sentences, advocated for clemency for individuals who were over sentenced, and prison conditions. In addition, NCC has also broadened this work to include police reform, especially in the wake of much publicized shootings in places such as Baton Rouge, Minneapolis, and Dallas. The NCC also published until 2012 the annual Yearbook of American and Canadian Churches, since 1916 a widely used reference work on trends, statistics and programmatic information on religious organizations in North America. Future editions of the Yearbook will be published by the Association of Statisticians of American Religious Bodies (ASARB). The Council was the original anchor tenant in the 19-story Interchurch Center built in 1952 adjacent to Columbia University, Union Theological Seminary and The Riverside Church in New York City. It vacated these premises in 2013 when it consolidated its offices in the building long used by its public-policy staff at 110 Maryland Avenue, N.E., on Capitol Hill in Washington DC. ↑ Lindner, edited by Eileen W. (2012). Yearbook of American & Canadian churches 2012 (Eightieth issue. ed.). Nashville: Abingdon Press. ISBN 978-1-4267-4666-6. ↑ "Civil Rights Greensboro: National Council of Churches of Christ in the USA". Library.uncg.edu. Retrieved 2012-05-20. ↑ Jill K. Gill (2011). Embattled Ecumenism: The National Council of Churches, the Vietnam War, and the Trials of the Protestant Left. Northern Illinois University Press. ↑ "About the National Council of Churches". ↑ "NCC's Partners in Ministry". 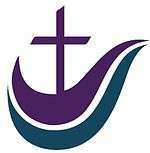 National Council of Churches. Retrieved 2010-03-08. ↑ "Morality of the Minimum". The Nation magazine. Retrieved 2007-05-06. ↑ McCarthy, Colman, "The Council of Churches and an Attack from the Right." The Washington Post, Feb. 27, 1983. ↑ Diane Winston (2012). The Oxford Handbook of Religion and the American News Media. Oxford University Press. pp. 189–90. ↑ "NCC Speaks Out About Withdrawal of Orthodox Church". Christianpost.com. 2005-09-30. Retrieved 2007-04-07. ↑ James Q. Wilson (2010). American Politics, Then & Now: And Other Essays. AEI Press. pp. 126–27. ↑ "Faith and community leaders urge Congress to raise minimum wage to $7.25 an hour". NCC News. Retrieved 2007-04-10. ↑ "The Bible and Christian Life". ↑ "Historic Uniform Series Now Meets 21st Century Needs". Retrieved 2007-04-22. ↑ "Celebrating 50 Years of Faith and Order". Retrieved 2007-05-09. ↑ Markoe, Lauren (February 13, 2013). "Cash-strapped National Council of Churches to move to D.C.". Religion News Service. Retrieved 2013-09-20.